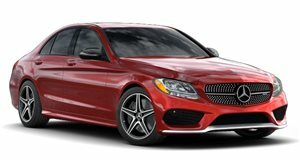 The Mercedes-AMG C63 is one of the best all-around high-performance luxury machines on sale today. As a longtime rival to the BMW M3 and M4, Affalterbach and Munich continue to fight for bragging rights as to who builds the better car. To keep its rival on its feet, AMG revealed the refreshed 2019 AMG C63 S at New York last week. It’s not a complete redesign, but there are subtle exterior changes and one major mechanical upgrade. It can be hard to spot the differences between the 2018 the 2019 models, but we figured you'd be curious. 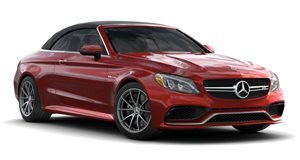 Starting up front, the entire 2019 Mercedes-AMG C63 lineup (coupe, cabrio, and sedan) receives a new Panamericana grille, which replaces the previous horizontal bar. The three-point Silver Star proudly remains displayed front and center. But that new grille, in our opinion, fits the car better. The previous look was sort of meh, almost lazy. It’s like designers decided they had enough for the day and figured a single grille bar would do the trick. The new grille is also taken directly from the also just revealed (and truly magnificent) AMG GT53 and GT63 four-door super sedans. Another difference here is the new front bumper with integrated fins. Look closely. They’re there. There’s also a new headlight design. We’ve gotten use to headlights styling literally becoming works of art thanks to LED technology. The outgoing AMG C63’s headlights already looked cool, and the refreshed 2019 models have an equally sleek thing going on. Our preference? We’ll call it a draw on this one. Out back, the only significant change is the rear diffuser design. Taillights remain the same, as does the narrow spoiler lip on the trunk lid. The redesigned diffuser improves the rear air flow. The two chrome-plated twin tailpipes have also been redesigned and, once again, are integrated into the diffuser. From the side angle, it’s hard to see the changes made to the front and rear. Like we said, this is a mid-life facelift, not a total redesign. The side skirts and AMG light-alloy wheels also remain. However, engineers did retune the AMG Ride Control steel suspension. But perhaps the biggest change for 2019 is the new nine-speed automatic transmission, which replaces the previous seven-speed slushbox. Mercedes claims that thanks to the new gearbox, the AMG C63 now offers the ideal combination of power and output and gear. Speaking of which, the twin-turbo 4.0-liter V8 with up to 503 hp and 516 lb-ft of torque returns unchanged for 2019. Why mess with perfection? Interior changes are also minimal for 2019, but Mercedes-AMG does offer up some new trim and equipment offerings. 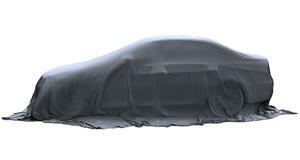 All AMG C63 body styles include trim in anthracite open-pore oak wood, open-pore walnut, longitudinal-grain aluminum trim for the doors, and open-pore ash wood for the center console. Upholstery can be had in Nappa leather in black, black with grey accents and, pictured here, red pepper/black. There’s also a new 10.25-inch media display and some redesigned steering wheel button controls.